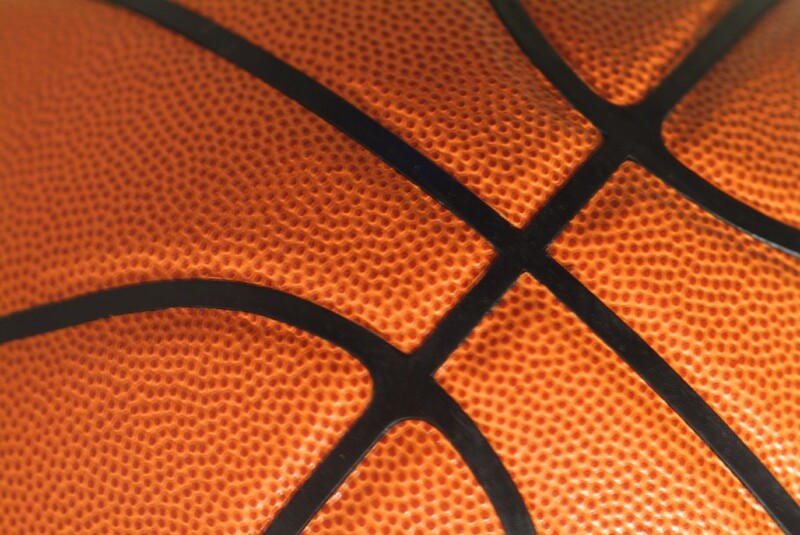 Deadline to Register for Middle School Basketball Tournament tomorrow! 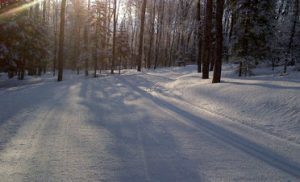 Staycation @ the Michigan Tech Trails! Staycation at the SDC Multi Purpose Gym! Staycation @ the SDC Pool! HOUGHTON, Mich. – The Michigan Tech football program will be hosting Little Huskies Football camp on both April the 8th and 15th from 10:00 a.m. to 12 p.m. The camps are for boys currently in grades 4-6 with both offensive and defensive skills stations. Camp participants and their parents are invited to attend the Huskies scrimmage April 8 at 1:00 p.m. and the annual spring game April 15 at 1:00 p.m. In addition, each participant will be given a ticket to the Huskies first game of the 2017 season on Thursday August 31st against Truman State at 7 p.m. The cost of the camp is $25 per participant and the deadline to register is April 8th. For more information on the camp and to register click here. Also, stayed tuned to michigantechhuskies.com in the coming days for more information on the camp, annual spring game, and the upcoming 2017 season. HOUGHTON, Mich. – Michigan Technological University will host youth tennis lessons at the Gates TennisCenter April 4th through April 27th. Members of the varsity women’s tennisteam will be instructing. People can register at the SDC Ticket Office, by calling 487-2073 or online. Kids will enjoy weekly instruction provided by members of the varsity women’s tennis team and will also have limited pass privileges to Gates Tennis Center. Our youth development program is based on the USTA’s 1- & Under Program. In addition to weekly instruction, tennisprogram participants will be able to play before 4:00 p.m. on weekdays and anytime on weekends. 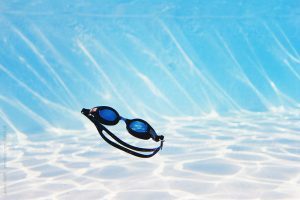 Children under 7 must be accompanied by a parent while playing outside of the lessons. For more information, contact Gates Tennis Center at 487-2774 and visit the Tennis Lessons webpage by clicking here. HOUGHTON, Mich. – The Michigan Tech women’s basketball program will be hosting the annual Little Huskies Spring Camp for girls in grades two through five. The camp runs April 10th through the 13thfrom 4:00 p.m. to 6:00 p.m. each day. The camp will be held in the SDC Varsity Gym and the Multipurpose Gym. Students learn fundamental skills for team play and individual skills like ball handling, shooting, defense, and more—all from coaches and instructors who are renowned in their field. The cost of the camp is $45 per person and $25 for an additional sibling. The deadline to register is April 10th and can be done at the SDC Ticket Office, by phone at 906-487-2073 or online. For more information on the camp click here. 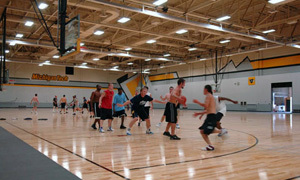 HOUGHTON, Mich. – The Michigan Tech men’s basketball program will be hosting the annual Little Huskies Spring Camp for boys in grades two through six. The camp runs April 17th through the 20thfrom 4:00 p.m. to 6:00 p.m. each day. The Doghouse 3-on3 Tournament is scheduled for April 22ndand will have divisions for multiple ages and skill levels. The Little Huskies camp will be held in the SDC Varsity Gym and the Multipurpose Gym. Students learn fundamental skills for team play and individual skills like ball handling, shooting, defense, and more—all from coaches and instructors who are renowned in their field. The cost of the camp is $45 per person and $25 for an additional sibling. The deadline to register is April 17th and can be done at the SDC Ticket Office, by phone at 906-487-2073 or online. For more information on the camp click here. 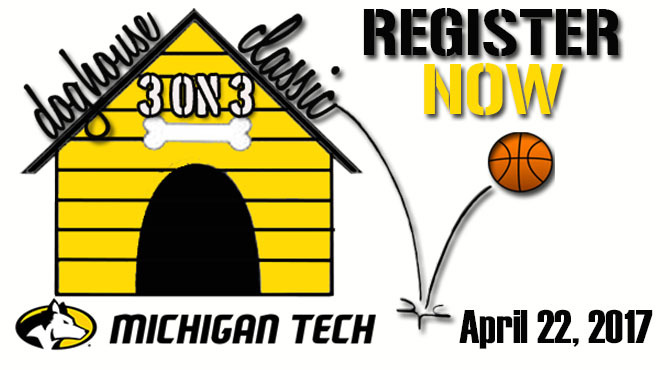 The Doghouse Classic is an original Michigan Tech event which saw its beginnings over 25 years ago under the direction of Kevin Borseth, head women’s basketball coach at the time. The Doghouse Classic was a long-standing tradition in the Houghton and Hancock area up until the last tournament took place in 2007. Recently, the tradition was reestablished. The goal is to host a boys’ and girls’ division for grade levels 4 through 8, JV, and Varsity. There will also be a men’s and women’s open division available to all ages. Teams will be placed in a division according to the highest level played by any team member. Any athlete is welcome to play up a division level. However, athletes cannot play down a level. The cost for the tournament is $80 per team with a roster limit of four players per team. To sign up, submit completed registration form along with full payment to the address below or bring to the SDC Manager’s Office (next to the SDC Ticket Office) Monday through Friday, 8am to 5pm. After 5pm and on weekends, registration and payment may be turned in at the Ticket Office. Deadline to register is April 3rd. For more information on the Doghouse 3-on-3 Tournament click here. HOUGHTON, Mich. – The Michigan Tech soccer program will host the annual College Identification Clinic August 17th through 18th. Registration for the camp is now open and is limited to 26 players and four goalies. The College Identification Clinic is intended for players and prospective student-athletes who intend to play college level soccer. This clinic will provide players with a greater understanding of the demands of a Division II women’s soccer program. Campers will have an opportunity to work with the Michigan Tech coaching staff as well as be able to interact with current Michigan Tech women’s soccer team members. This camp is open to girls entering grades 9-12 as of Fall 2017. Shin guards, soccer shoes or indoor shoes, soccer ball with name clearly printed on it, water bottle, and clothing for all weather. A packet of required forms will be sent to participants via email once their application is processed. The required forms must be submitted prior to the start of camp. The cost of the camp is $135 (commuter only) and the deadline to sign up is August 3rd. For more information on the camp click here. Doghouse 3-on-3 Registration Deadline Just 2 Weeks Away!